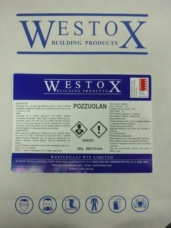 Westox offer a range of Trass and Kaolin Pozzuolan materials. These are used as an additive to provide increased strengths to traditional mortars and convert aerial lime to hydraulic lime. Use at the rate of 25 – 30% pozzuolan to lime, by volume.